The Birdie Hide-N-Seek offers a fun learning experience for your young one. Push one birdie down and the other pops up, showcasing simple cause and effect for baby. As each birdie is pushed down, a chirping sounds are presented. 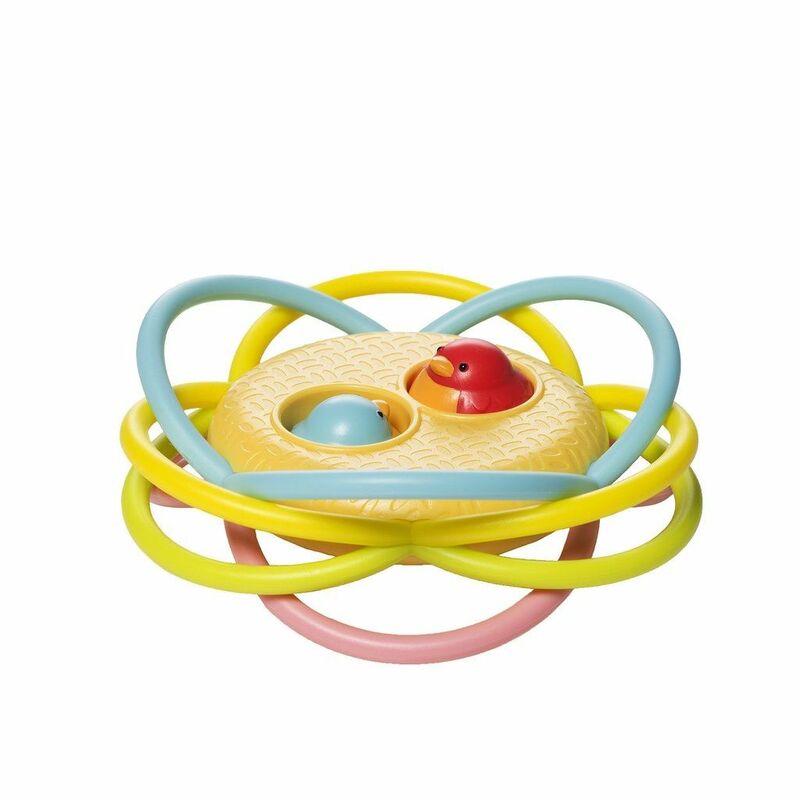 The attached loops are made from soft, pliable plastic that is perfect for grabbing and teething. 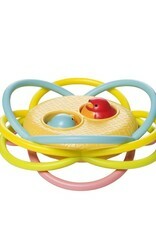 Colors on the Birdie-N-Seek are vivid and sure to grab baby's attention. This may seem like a simple game for your young one, but you will find them completely in awe and excitement while playing with the moving birdies.